Our personal parking meter is easy to use and convenient for motorists. The i Park card acts as a "debit" card for parking. Users pre-load money on their i Park card. When parking, the user turns on the card, selects the zone where they are parking and authorizes the card to start paying for parking. Its that simple! Monroe J. Carell Jr., 76, of Nashville, Tennessee who helped Central Parking Corp. become one of the largest parking providers in North America, has died after a battle with cancer. Our sincere sympathies go to his family, friends and associates. Besides his many accomplishments known in our industry, he will be best remembered for his legacy of philanthropy. His causes included funds for a children's hospital at Vanderbilt University, Hendersonville's Pope John Paul II High School, much needed help for other institutions and causes in Nashville. We all lost a true giant in the parking industry. This forum will include discussions of parking challenges in Los Angeles County, policies, new parking technologies, and potential solutions. Space is limited. Please RSVP to ensure we have lunch and space to accommodate you. RSVP to Tham Nguyen via email nguyentha@metro.net with “Parking Forum” in subject line or call 213.922.2606. Harding Steel, Inc., manufactures, sells and services hydraulic parking lifts. 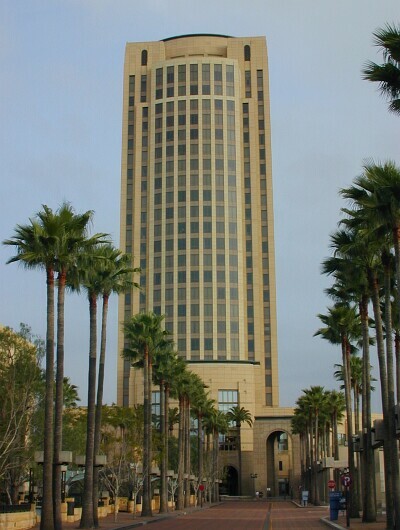 With many different types of parking lifts, Harding Steel can solve all elevated parking needs. One of the more widely sold Harding parking lift is the Car-Lift. This hydraulic lift uses no gears or chains. Two high quality hydraulic cylinders lift the first car so that a second car can be parked beneath. Two cars can fit 9'6' clearance, lower than any other parking lift system and with four different sizes to conform with any garage setting. The Car-Lift and SUV-Lift are made entirely of galvanized steel, eliminating rusting and the need to repaint. There is also an SUV-Lift model lift for larger vehicles. The SUV lift is available in standard and extra-wide models. A three-car lit system is also available featuring all-galvanized vehicle platforms. If you attended. Thanks, I hope the forum met your expectations and that you learned something, saw something new and had a good time. Katie Chung, Assistant Superintendent, Office of Parking Washington Metropolitan Area Transit Authority (WMATA) gave a wonderful overview of a huge parking operation. The challenges, solutions, technology, public, taking care of the transit public with limited parking (only 62,000 spaces). Very informative. Stan Wolfson of Clancy demonstrated their Park-by-Phone and new wireless parking ticket system. Tom Lucas of Dominion Self Parking introduced their latest and greatest multi-space meter. The meter is the strongest ever produced. They've produced a very simple entry level meter - a strong solution for moving from single space to multi-space environment. Jack Wilcox of POM showed advancements in single space meters, smart card interfaces, 2x meters (2 spaces one meter), 4x (4 spaces one meter), and other meter products. Erika Winters of American Institute of Steel Construction (AISC) explained the benefits of steel construction. Matt Nelson of U-Park It showed their automated parking system. Fully electromechanical, lots of redundancy, low cost with very little maintenance. David Joseph of American Chariot showed how their personal mobility device has made a positive impact on our parking industry. Jeff Parsley of Parsley & Kranidas Attorneys at Law talked about modern enforcement and collection techniques. Thanks to the presenters and the attendees. Breakfast at "the Bagel" was great, thanks Tom. The Four Points Denver Southeast provided a very nice environment and lunch. Dessert was outstanding. Everyone's comments are solicited and very welcome. Enter their contest and to win a prize and look at their new simple Multi-Space Meter. Imagine pulling into a parking space, taking your personal parking meter out of the spare cup holder, turning it on, and walking away. There are no calls to make - no coins to look for - no credit cards to take out of your wallet on the street. No walking down the block to get a ticket while getting wet, feeling scared, putting pets and children at risk, or getting to an appointment late. No more tickets because you didn't have enough coins or your stop ran longer than expected. No more wasted money because it happen to take less time this trip. You get back to your car and turn your meter off. That's it. You pay for the exact time you use the space. You do it conveniently. You do it safely. Welcome to the age of online parking and personal convenience. Welcome to the Comet by Login Parking. 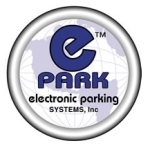 U-PARKIT - leading the Automated Mechanical Parking System Industry - the next generation for parking. Saves Space - Can drastically reduce the footprint needed to park the same # of cars - Unlocking precious land to be used for more revenue generating properties. OR Substantially increase the # of cars in a given footprint compared to traditional parking (sometimes double). Modular - Can retrofit system into existing structures. Safe, Secure and Convenient - No more worrying about the safety of yourself or your car, the public can not enter the garage. Can strategically locate car retrieval interface systems so your car is waiting for you when you arrive at the garage. Environmentally Friendly "Green" - There are no more emissions once the car enters the garage. Eliminating: 6,000 gallons of gas per year, 3.5 Tons of carbon monoxide per year, 1,000 lbs of hydrocarbons per year, 60 Tons of carbon dioxide per year (figures based upon an EPA study of a 500 car garage). Portable - The system can be moved to a different site or development in the future if desired, does NOT have to be a permanent structure. Low Maintenance - Our system uses NO hydraulics or pneumatics - ALL electromechanical technology. Next generation in parking solutions. 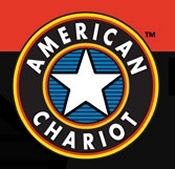 The American Chariot is a dynamic personal transportation vehicle that will significantly enhance productivity and increase profitability.